Talalla Retreat, the open-air resort on Sri Lanka’s southern coast, delivers every element of luxury to the high-powered, time-poor executive. Expect to be pampered with good food; spas, treatments and activities; morning yoga classes in a beachfront shala; vast bedrooms with open-air showers; attentive staff, and sunrise and sunset views from a perfect stretch of beach just steps from your private balcony. All this adds up to the ultimate commodity – health and wellbeing. 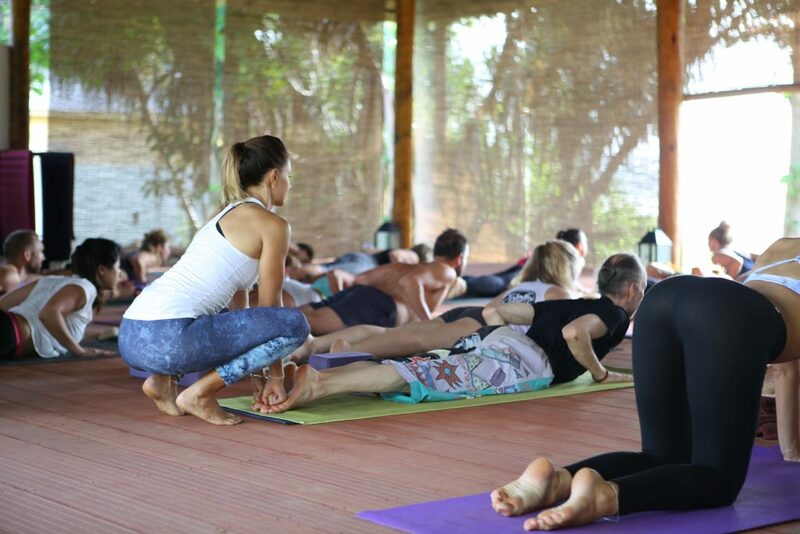 The seven-day Talalla Wellness Retreat I attended included twice daily yoga classes, surfing lessons, wellness assessments, pilates classes, sunrise meditations, workshops and demos; and left me feeling more energised than ever before. From the Sri Lankan capital, Columbo, the retreat can be accessed by an hour-long seaplane flight along the beautiful Sri Lankan coast with Cinnamon Air, or by using one of the many chauffeur-driven limousine services available to make the three-hour road journey. Either way, this reflects the ethos of Talalla Retreat – Sri Lanka-luxe. Jenna, Talalla’s Wellness Manager, welcomes us with goodie bags – cotton totes filled with organic scrubs, incense and chocolate – and talks us through what the week will entail. We sit in the open-air restaurant overlooking the ocean and drinking freshly harvested coconut water. Jenna trained as a pilates instructor, yoga teacher and reiki practitioner before creating her own exercise format – boxilates. 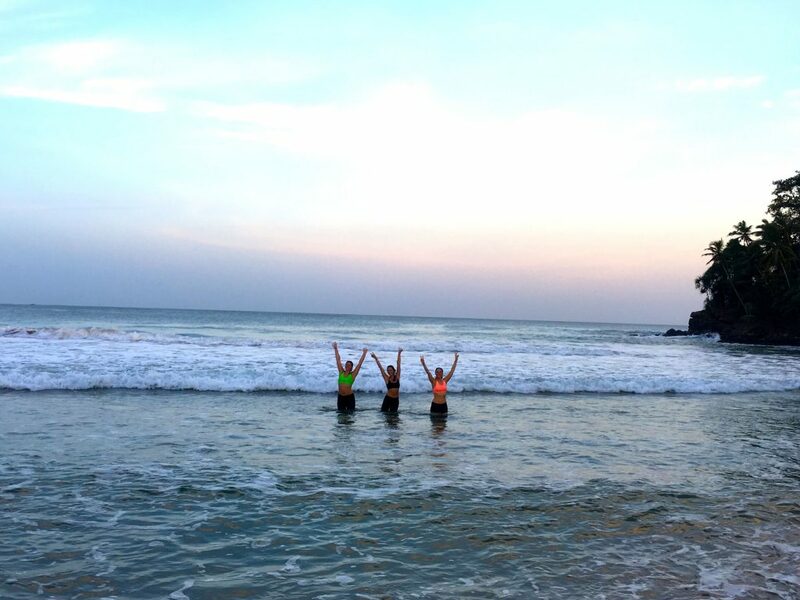 Splitting her time between Sri Lanka and Australia, Jenna dedicates much of her life to running wellness retreats that don’t just help guests tone their tummies but tune in to what they want from life. On our first evening, I take a walk on the beach as the setting sun turns the ocean gold. 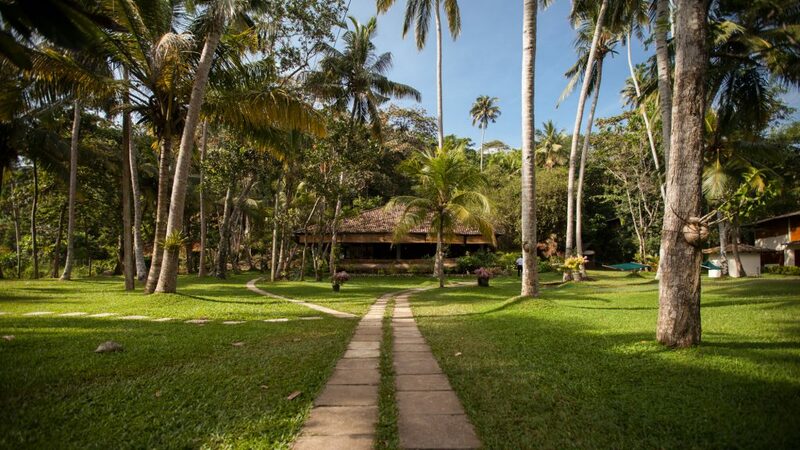 One of the most magical things about Talalla Retreat is its proximity to Sri Lankan culture. As the sun sinks behind the palm trees on the west side of the beach, I pass a multi-generational group of Sri Lankan men heaving in fishing nets – ten-year-old boys alongside frail, weathered figures. They ask me to help, so I grab the rope and join in. Although our first class doesn’t generally start until six thirty, we’re all up with the sunrise every day – taking walks along the beach or doing lengths in the pool. The first class of the day is always dynamic: an energetic boxilates class or slightly excruciating pilates sequence, but Jenna’s light-hearted approach and choice of music make them fun. Our morning burn is always followed by an optional ninety-minute vinyasa practice led by one of Talalla’s yoga instructors and set against a backdrop of the sparkling ocean. Breakfast is endless supplies of fresh fruit, pancakes, coffee and curry – pampering us in a way that combines luxury and virtue. 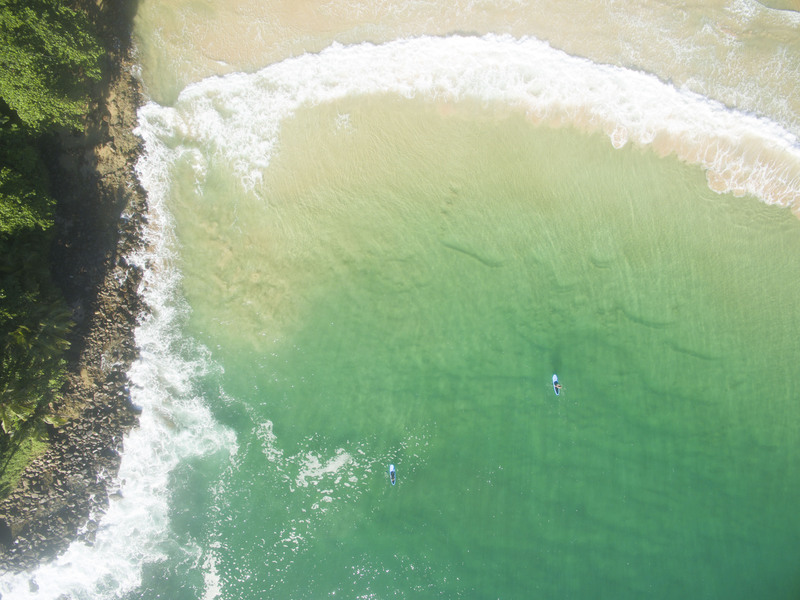 On day two, we have our first surf lesson at Kadalana, a long stretch of beach with small sets rolling consistently to shore and nobody else making use of them. Shaun, our coach, has us all standing on our boards within ten minutes. Those of us who have tried and failed to nail surfing in the past, with less competent coaches and imperfect conditions, are blown away by how much we can improve within two hours – how quickly Shaun spots and corrects our mistakes. On the morning of day three, I take a paddle board out on to the water, spending breaks from paddling dozing on the board, with my limbs dangling into the warm, crystal clear water. Between classes, meditations, surf lessons, one-on-one wellness consultations and excursions (seeing the elephants at Udawalawe National Park, or taking a bike ride around the local village) we spend our time by the pool, in the ocean or spa. Talalla Wellness Retreat packages include one treatment, but that doesn’t tend to stop guests from wending their way along the path to the indulgent sanctuary at least once a day. After restorative yoga or sunset beach walks, evenings at Talalla involve incredible food (a mind-blowing selection of curries and salads) and the occasional party at a local bar. On our final evening, after an afternoon surf and sunset cocktails in the nearby beach town of Hiriketya, we close the retreat with a coconut ceremony – reflecting on our values, our aims and what practices best serve us. 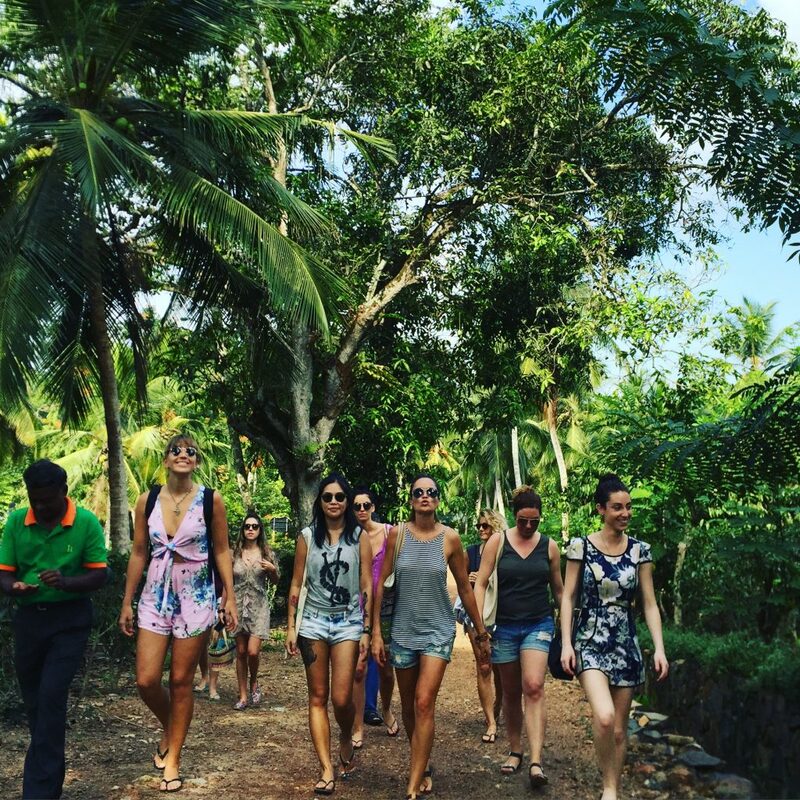 Everything about Talalla Wellness Retreats, from the food to the schedule to the setting, is nourishing for body and mind. Active days end with cocktails overlooking picture-perfect beaches. 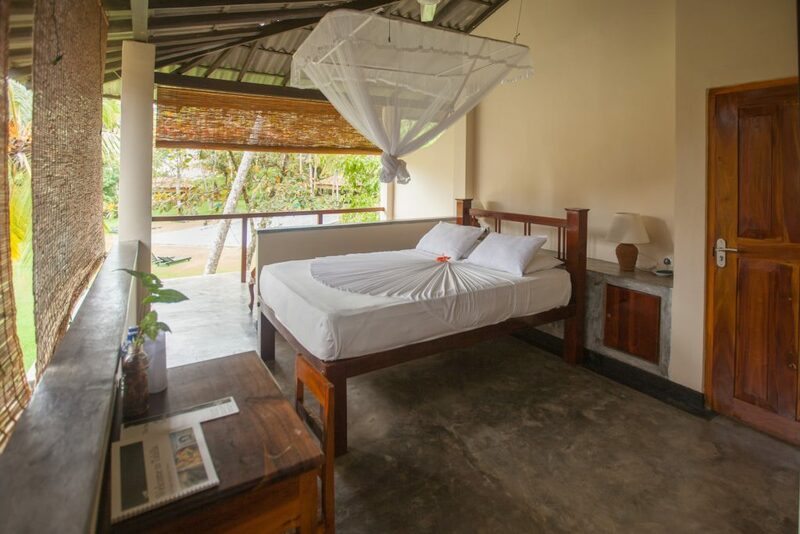 After feasting on fresh, organic food packed with flavour, you retire to your bamboo bungalow or sea view villa, your path lit by fireflies. You rise with the sun, enjoy a coffee or a coconut as the world wakes up around you, and then you do it all again.